We at CHTC Bus Group hope you had a fantastic Christmas with your loved ones. We had an amazing year and hope you did as well. As we are nearing the end of 2017, we wanted to remind you of some basic tenets we hold dearly to us. Reliability: We purchase only from suppliers who share our strict quality standards. Our Motorcoaches feature American Cummins engines and Allison transmissions, as well as German ZF air-suspension. Durability: Our truck-based engines and transmissions are engineered for efficient, long-term, and worry-free operation. 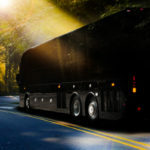 Coupled with our proven track record for success, our careful selection of the best designed parts is testament to how HT Motorcoaches are built to withstand the trials of road travel. Safety: Through rigorous testing and refinement, we ensure that our Motorcoaches surpass all collision and safety standards. 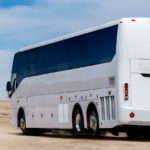 To maintain the highest standard for safety, we equip all motorcoaches with an automatic engine bay fire extinguishing system, back-up camera, active radar anti-collision system, ABS, ESP, three-point seat belt, and more. Every custom-made turnover window can be opened in case of an emergency. 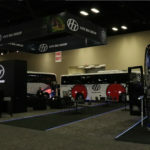 By using the latest innovations in safety technology, the HT series are the safest Motorcoaches we have ever built. Value: Our Motorcoaches are designed in the U.S. and assembled in China. We buy high quality American parts. 75% of parts we use are American. By assembling in China, we create the best value for buyers. Rest assured, we never compromise on quality for value. From assembly to sale, we mandate strict standards. 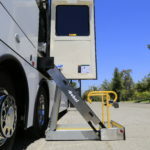 Our Motorcoaches must pass some of the most rigorous inspections in the industry. Media: HT series Motorcoaches offer extensive on-board entertainment such as pre-programmed movies, television shows, and music. In addition, each seat has 2 USB outlets to charge electronic devices. For business-minded passengers who want to charge their laptops, 110V outlets are also available. To provide passengers with Wi-Fi, simply purchase a data plan from any carrier. Manufacturing: Our Motorcoaches are manufactured and assembled in Nanchang of the Jiangxi province in China. With over 30 years of experience building Motorcoaches, this state-of-art facility features the latest production technologies to guarantee the consistency of our buses’ performance and reliability. To continued success and furthering a great relationship in 2018!